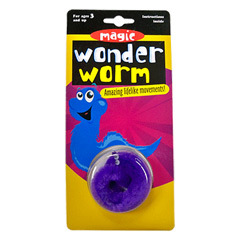 This fuzzy toy worm comes to life in your hands! Amazing lifelike movements! • You can take it everywhere, it's a dream come true! Comes complete with worm, thread and instruction sheet. NOTE: Color of worm may vary.